Eight years ago, the Philippine Men’s National Football Team stunned host nation Vietnam in Hanoi to revitalize the sport in the country, in the match dubbed The Miracle of Hanoi. This time, though, replicating the feat proved a mountain too high. 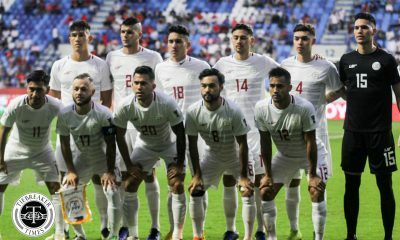 Needing to win by two goals to enter the 2018 AFF Suzuki Cup finals, the Philippines instead folded 2-1 – 4-2 on aggregate – against Vietnam, at the My Dinh National Stadium in Hanoi, to end its campaign on a whimper. The writing was on the wall as early as the first half. Vietnamese goalkeeper Dang Van Lam was hardly troubled throughout this highly physical contest. 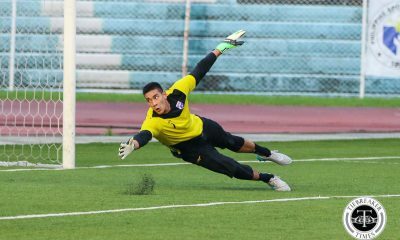 Despite the Azkals’ numerous set pieces, they failed to provide Lam a proper scare. Time ticked on, and so did the Philippines’ hopes of survival in the tournament. 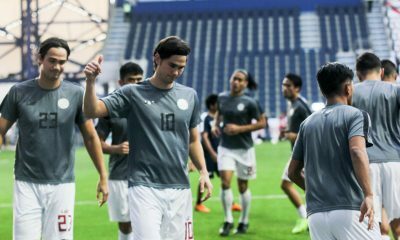 James Younghusband came in for Carli de Murga in the 69th minute for his 100th appearance for the team, as the coaching staff sought to add another offensive player on the pitch. Vietnam simply coasted towards the finish line, as the home side repelled whatever the Philippines threw. In the 83rd and 87th minutes, the Philippines’ exit was formalized when Nguyen Quang Hai and Nguyen Cong Phuong shot past Filipino goalie Patrick Deyto to seal the tie for the Vietnamese. Younghusband pulled one back for the Azkals late in the game, but his strike was nothing more than a consolation goal for the Philippines. 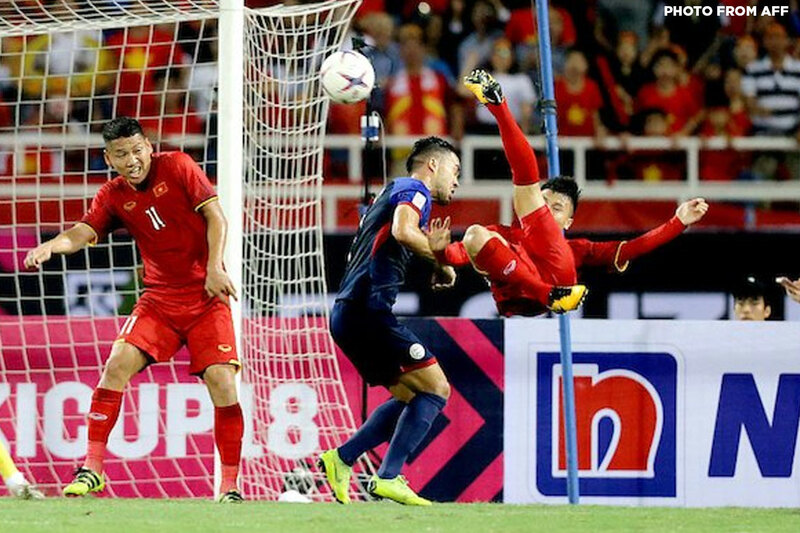 Ultimately, another miracle in Hanoi was just not meant to be and the Philippines’ quest for that maiden finals appearance in the regional competition is prolonged. Philippines XI: Deyto (GK), Steuble, Silva, de Murga, Aguinaldo, Reed, Ingreso, Schrock, Ramsay, Reichelt, P. Younghusband (C). 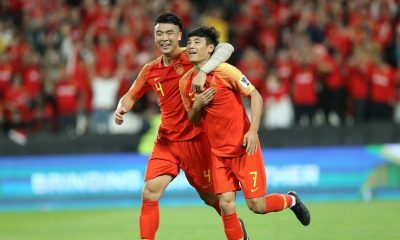 Vietnam XI: Dang Van Lam (GK), Que Ngoc Hai (C), Doan Van Hau, Luong Xuan Truong, Nguyan Trong Hoang, Nguyen Anh Duc, Pham Duc Huy, Nguyen Quang Hai, Phan Van Duc, Tran Dinh Trong, Do Duy Manh.